I’ve shown you several Christmas posts so far this year. We’ve decorated the living room, the kitchen, the dining room, and the porch, but there are a few rooms I didn’t get to. I wanted to show you how I decorated those rooms that are often left out of the Christmas fun. Let’s start with my bathroom. I have a tree in my dining room, 2 in my living room, so why not one in the bathroom? You know those special ornaments you have that get lost on your big tree? The vintage ones handed down from family? That’s what I put on this tree. I think they really show up very well, don’t you? Would it make your day if you won? Then why not enter? 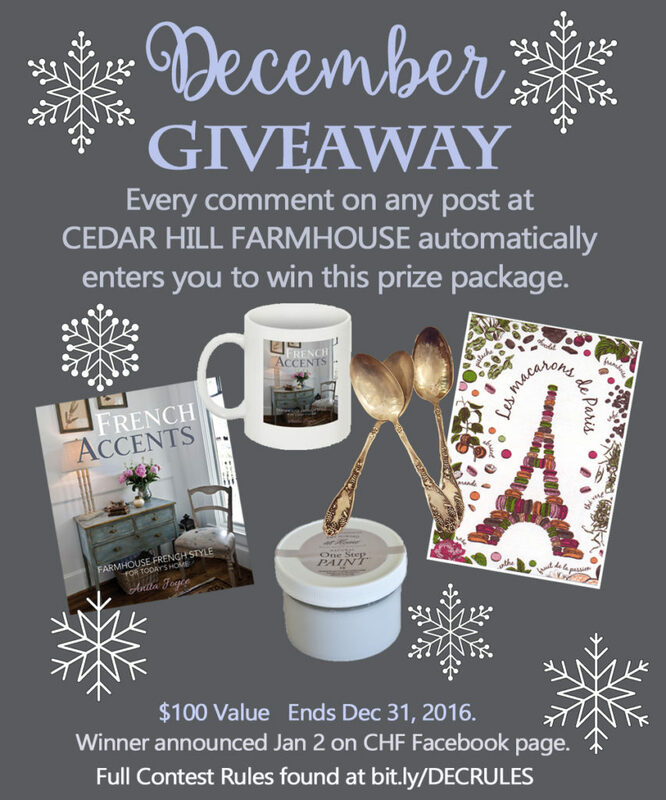 Every time you leave a comment, you are automatically entered to win. Some restrictions apply. Then I put a few little ornaments in some Limoges cups and put them in my closet. Yes, I’m aware that sounds odd. But I think it looks really pretty. These are also vintage and inherited. They really are my favorites. In case you are wondering, I bought the Limoge teacups for my shop, but I’m still not sure I’m ready to part with them. Just look at that detail! I added a few more details to my bedroom also. Lots of white bottle brush trees and a little cown add just the right touch. I’m all for no pressure decorating. If you love decorating for Christmas, go for it. If not, then take it easy and don’t. I did a lot more this year than I normally do. Next year, who knows. Just remember there are lots of little places you can add details if the mood strikes. 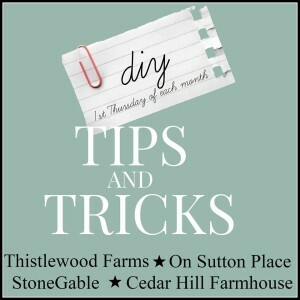 This is part of my DIY Tips and Tricks series. Be sure to check out what my friends are up to! The Limoges cups with the little ornaments are quite darling indeed. LOVE THIS idea! I try to do a little something in every room at Christmas, it makes me happy to move through the house and see it as I go. I love your vintage ornaments, it’s a time for family and what nice reminders of family from the past! The small fuschia tree is fabulous! 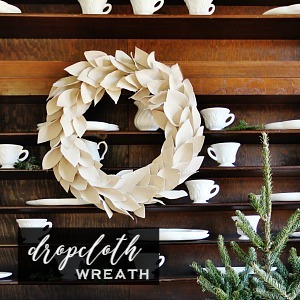 I hang fresh wreaths in my bathroom, my daughter’s room, and my dining room, with 2 small decorated artificial trees atop my kitchen cabinets, but they’re ALL green. You’ve shown me the way to some special sparkle, and I’m off to find a festive small tree to add to the mix. And the fuschia color offers a “bumped-up” reminder that we have once more come through Advent into Joy! The teacups are beautiful! I can see why you want to keep them. How lovely to have vintage ornaments that were in your family, I wanted vintage ornaments and had to resort to Ebay to buy them. LOL. 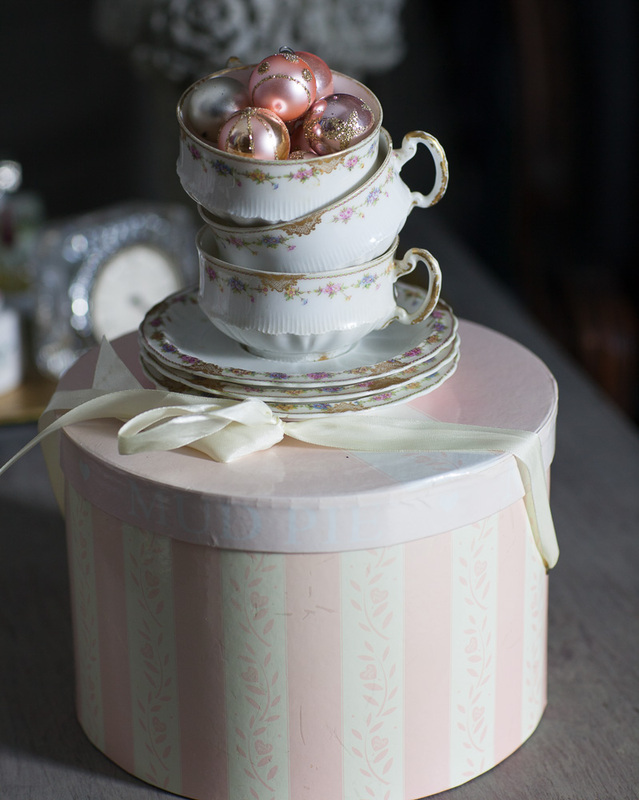 So delicate and feminine, nice to have Christmas in every room! I am looking for a small tree similar to yours for my vintage ornaments also. They are so beautiful and special and they need to be seen in their own place. Oh so sweet! 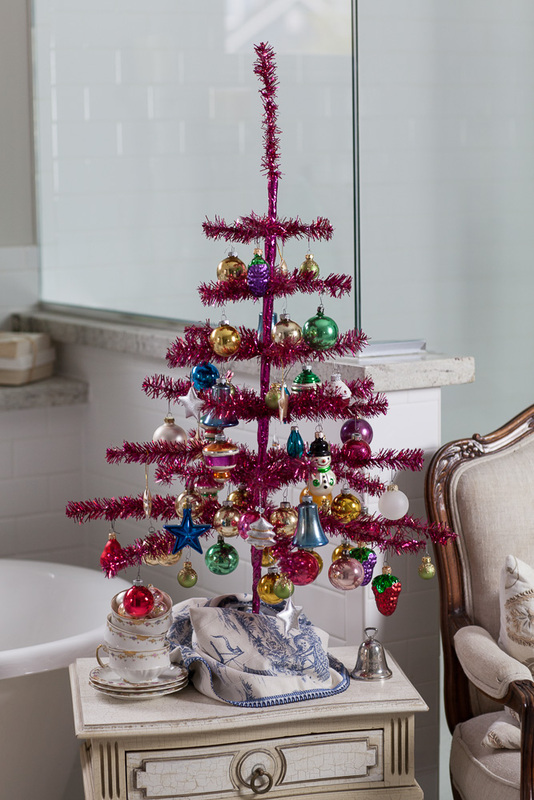 I love the pink tree along with all of your Christmas touches throughout your gorgeous home! Love the bathroom tree setting! I love your decorating in all the nooks and crannies. What a sweet treat to see the beauty of personal holiday treasures. Ok, I’ll go back to the attic for a little more…thanks for keeping us thinking about unusual ways to continue the spirit. I have a darling little white tree just like your pink one that I use for my old little family antique ornaments! Love that you do that too! But I didn’t put it up this year. I guess I wasn’t in the mood. Now I’m re-thinking…..
My heart smiled when I saw your vintage ornaments. I have several similar ones from my parents. Christmas blessings! Love your little bathroom tree. I used to live in a doublewide with a huge master bath. I would put a beach-themed tree in there. Loved it. Our bathroom now, in our old farmhouse, is too small for much decorating. What a surprise your guests will find when entering your bathroom–lovely. I love that little tree and the ornaments in the tea cups? Oh yea! I love the tree in the bathroom! I decorate every room in my house too. Love your little bathroom tree! I have a little gold one like that. Never thought about putting it in the bathroom, but now I looking at that idea! Love all your little vignettes! Love the little tree in the bathroom. 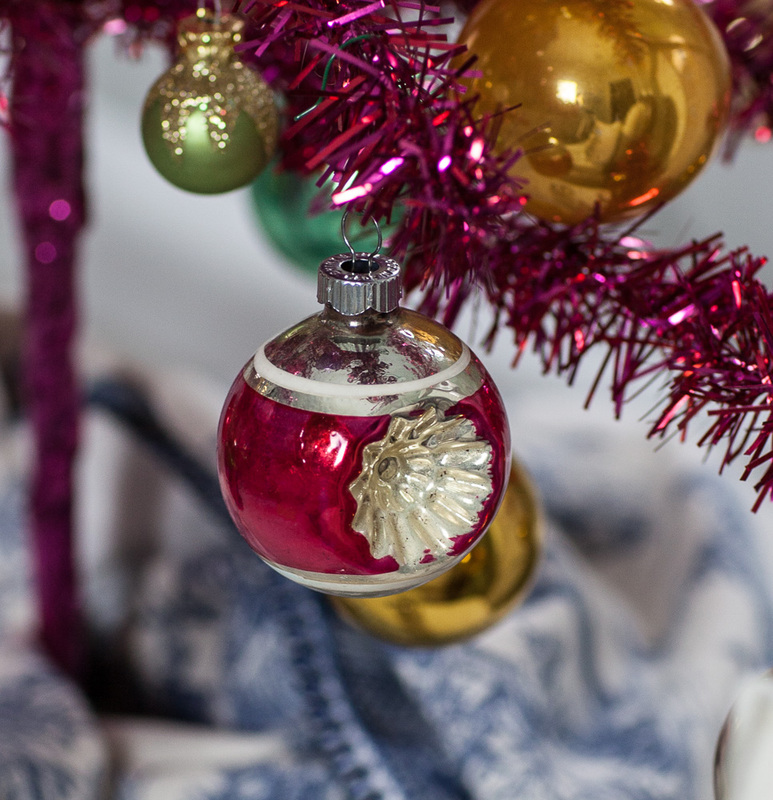 I also have small vintage ornaments…great idea! Always beautiful decor and GREAT inspiration!! Loved the cups in your closet and the tree with sentimental ornaments in your bathroom! I like to add a little touch of Christmas to every room, makes me smile when I walk in the room and see it. Your decorations and home are lovely. I just need my husband to give me free reign on Christmas decorations. I love your look!!! Hi, It’s Debra in Alberta. Hope you’re staying warm and cozy. When I saw the post this morning I suddenly felt that way. Thank you for the quest room decor suggestions. I too love the teacup with tiny ornaments. Vintage, vintage, vintage all the way. I love all these Christmas touches. Since moving into our (much smaller) patio home, I just don’t have the surfaces to decorate in the bedrooms or bathrooms – except for the ubiquitous candle. Thanks for sharing your pretty pictures of Christmas at your house! I decorate my closet, too! I have a glitter light that functions as a night light and holiday scarves for my dressers, plus any other little decorations I come across may end up in my closet or in my bathroom. What festive fun! Love to put a little touch of Christmas in each room! It always looks so nice. 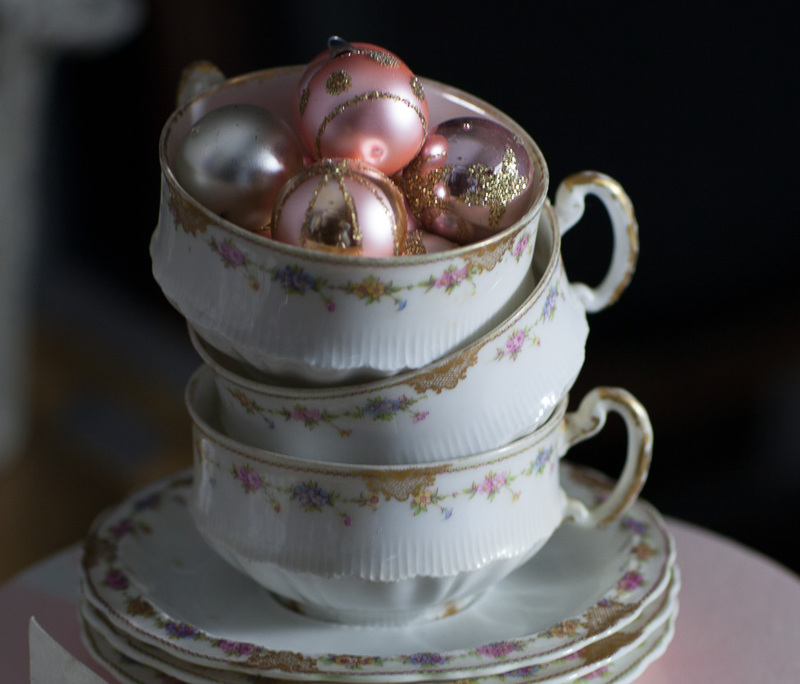 Your idea of putting vintage ornaments into a vintage teacup is great! I’m off to see what I can do here! Bless you, Anita! Your home and decor ideas are great! Love everything you do! I think I’ll put a small tree in the bathroom this year. But I’ll have to keep the door shut so that the kitties don’t wreck it. They’re so good at that! Yep, I’d LOVE to win the giveaway — I really wanna try that paint! Well I am happy to share my sources Sue, but I honestly don’t remember where I got it. I’ve had it a long time. Probably it was from TJ Maxx or some place like that. 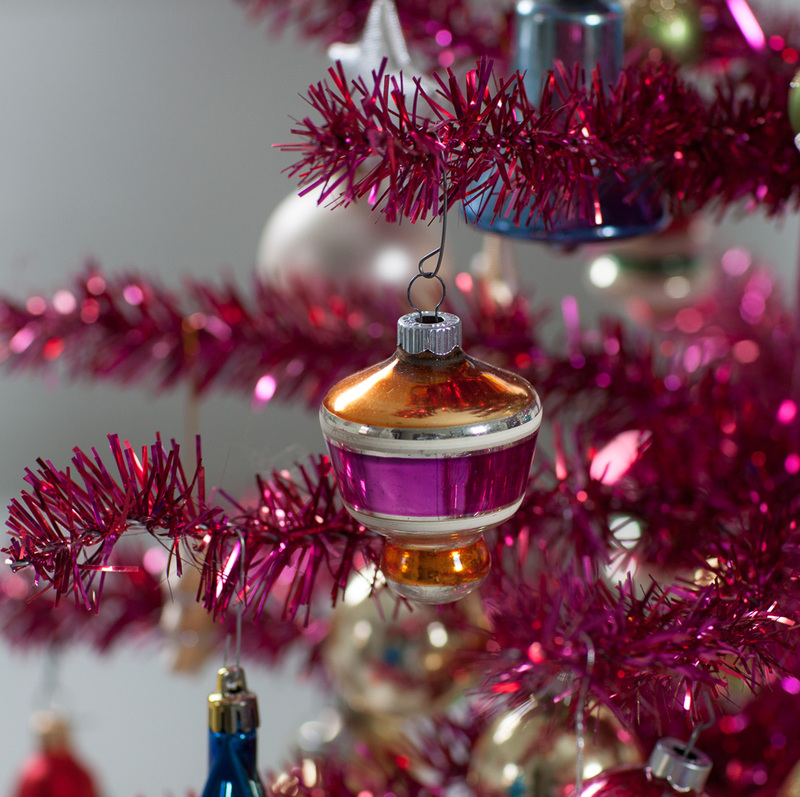 I too have some very old tree decorations I have had for years…….married 58 years so some are very old but I love them so they go in special place. Love your simplicity! You do such a great job…..love looking at you post. Oh such a sweet little vignette but with a big splash of color and Christmas fun!! Loving it! Thanks for so much inspiration always!! Now I know I will be looking for little trees and ornaments at thrift stores after Christmas…for next year’s decorating! Not doing any décor this year as I am doing remodeling in my home. You got me! I now have a tiny tree in my bathroom; tiny because it takes up valuable space on the counter. It sure looks cute! Love all of the little touches, thanks for sharing. I like your ideas…a few pretty ornaments and a bit of greenery makes a sweet holiday statement. The pretty Limoge cups with the little ornaments would be lovely on top of a stack of books in the library or home office. 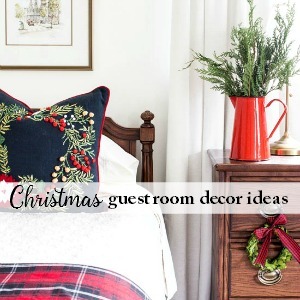 Guest power rooms are another great space to remember when decorating for the holidays. It’s such a nice touch when friends come to visit. If there’s room near the bathtub, that’s another great place to put a winter-flowering plant and attach a pretty holiday ribbon. I’ve collected so much stuff over the years so I rotake what I unpack and move things around from year to year. This year I did not unpack my little ceramic village houses, instead I decided to display the paper mache houses I’ve painted, flocked, glittered into a little snow village on the hall table. Just wanted to say I love the Limoge cups….so delicate and beautiful! I would never be able to part with those! Same idea here…. every room in the house had special things in it for Christmas! It’s not going to happen this year…. but next year i will have to plan and clean and organize and get with the program!! Anita, I really like that you decorate every room at Christmas. I started to the same thing when I was in my teens; got the idea from my Nana, who decorated anything that stood or sat still…lol. The first Christmas my husband and I were married I decorated a small cedar tree with seashells that we had collected from a nearby beach. He, of course, thought I had lost my mind, but when he went into the bathroom and found it decorated as well, he was sure I had gone crazy. Forty-two years later, he has adjusted to my decorating in every room. He still teases me about it and it’s a bit of a joke with our friends that they shouldn’t sit or stand in one place too long. Thanks as always for a lovely post. Hope you and your family with have a wonderful, blessed Christmas. Love love love all your decor! You have such good taste! I love vintage decorations thrown in anywhere I can put them. Keep inspiring us! So pretty and whimsical! Those stacked teacups are beautiful and sweet! Thank you for the idea! I have another hutch that is just not all together but I want to photograph my entry for my blog and am struggling terribly with getting those shelves styled. My main issue is not having quite enough to fill it up in matching sort of way. But I do have some pretty teacups in there and might be able to pull it together by using matching ornaments instead of things. Your holiday home is lovely and charming. I love your ideas. So beautiful with a feminine touch. Where did you find the tiny bottle brush trees. I love that vignette! 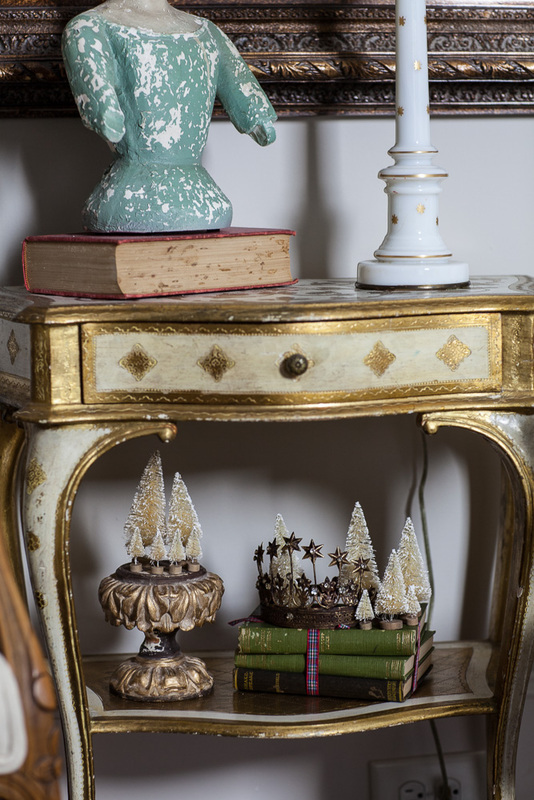 I just spotted the vintage French-inspired Santos crown on the lower part of your side table – because I also purchased it from DecorSteals, but you styled it so pretty with it sitting on top of two books and next to some bottle-crush trees. I’m going to copy your look right now. Thanks for the inspiration! I think it is such a cute idea to decorate the bathroom! I guess I usually bypass that room! But I love it! I have bottle brush trees in all my rooms this year also. They are small, but add just a touch of home to each area without a need of a lot of space. I love your little tree with the vintage ornaments. Wishing you a Merry Christmas. I wish I had some of my Mom’s vintage ornaments! I LOVE how you used those vintage ornaments..I have a box of them in my storage area that I will be getting out and using now, for sure! Thank you for your inspiration! Just love all the little surprise Christmas elements you have tucked around. That is something I do more of and it is a lot easier than putting up a tree and all the decorations for just two retired people with all the children in other states. It is so cheerful and just enough for the two of us. I love the Limoges tea What a lovely gift package..
Love the ornaments in the tea cups and love the ribbon around the books in another vignette. Thank you for the ideas! I love your old timey ornaments, so cute!!! I love your Christmas throughout the house. I’ve done a lot more this year too, although I didn’t bring out everything. Some of my family doesn’t appreciate my enthusiasm and I’ve actually had people laugh and make fun of me. I once had a deep rose colored bathroom which I trimmed up with red and white toile. I ended up finding an old fashioned Santa done up in the same fabric. I used to put him on an old three draw chest next to a pitcher and bowl. So, if you have a double dose of Christmas spirit this year, embrace it! I too love the idea of a tree in your bath. I also enjoy some of the things I buy for my booth before I take them there. Juan’s wonderful thanks for your article.